The MurphySofa Migliore sectional wall bed sofa model inspires European timeless fashion with bold coloring and strong features. 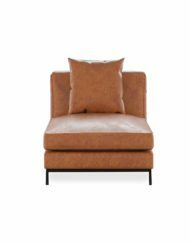 The Migliore is a perfect mix of comfort and charm. 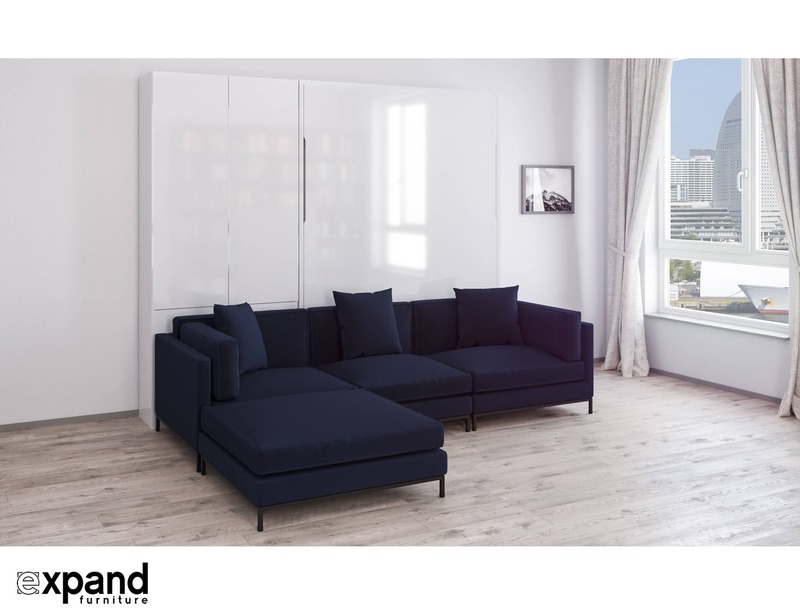 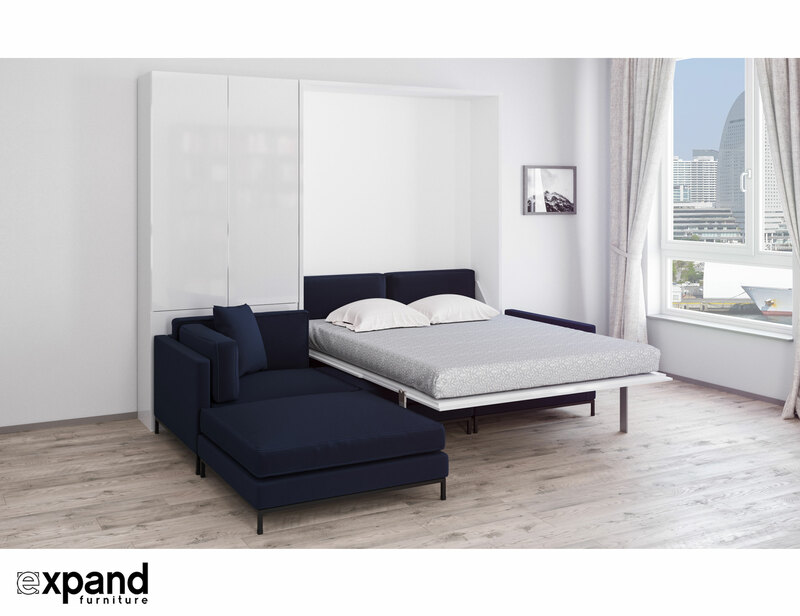 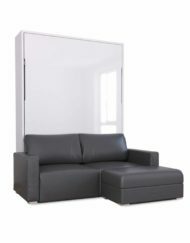 Enjoy the easily accessible, dual purpose of a couch and a bed and cupboard in one product! 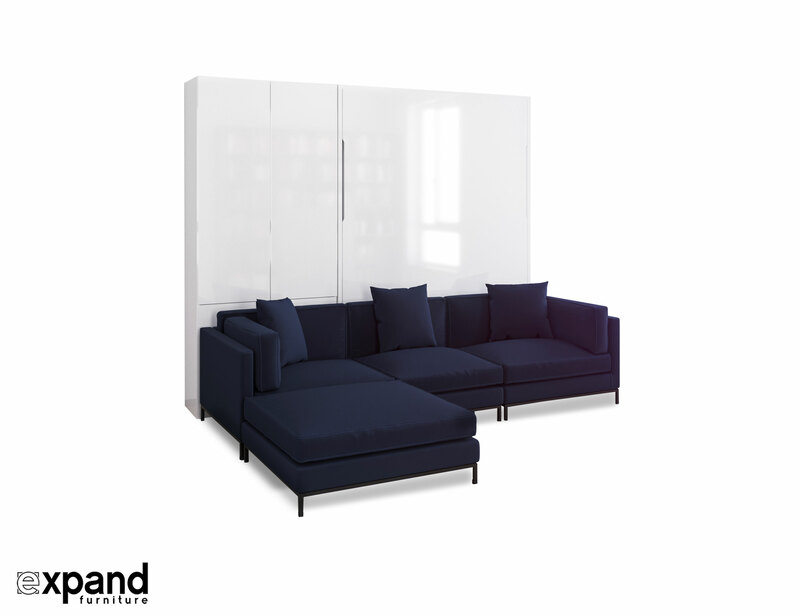 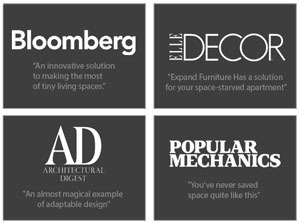 Modular pieces that can be added to over time make this a unique sustainable furniture choice. 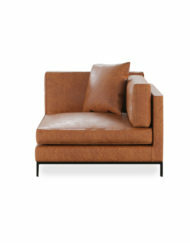 The Sofa comes in your choice of on trend Tan Brown leather or a rich Navy Blue velvety-microfiber. 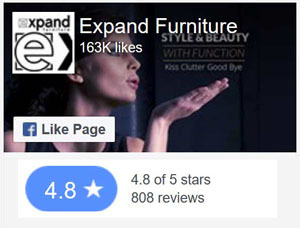 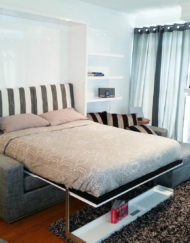 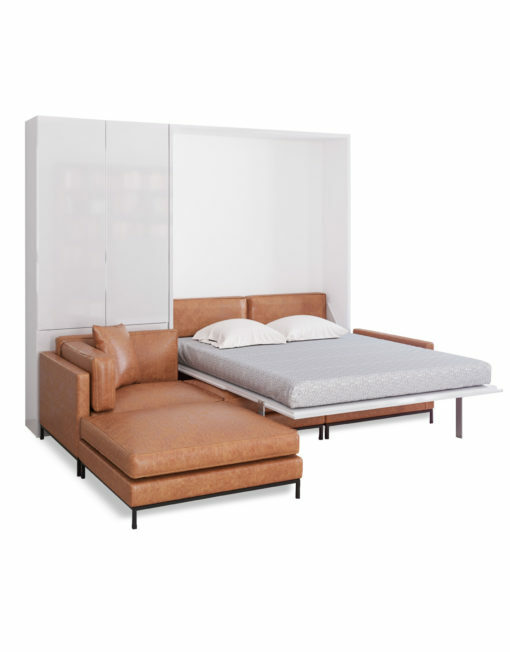 This designer Murphy Bed is made in Europe but built to fit a USA / Canada sized mattress. 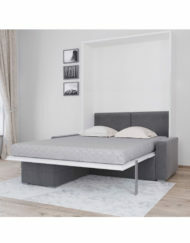 Quick Ship! 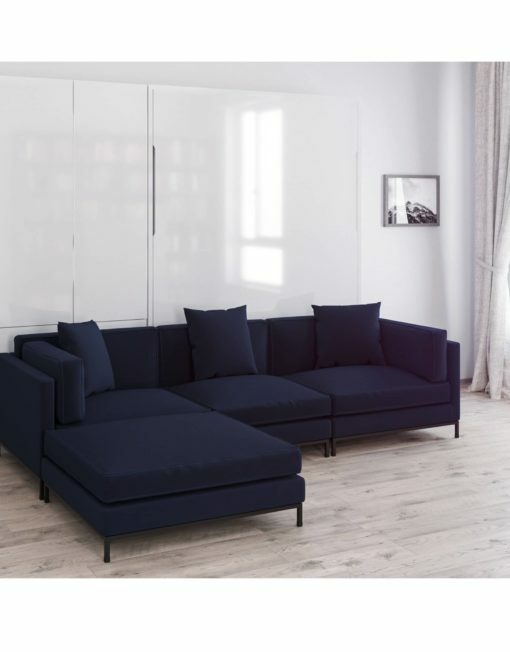 Our MurphySofa Migliore sectional wall bed couch combination is designed so that it folds over the Migliori sofa without having to move it, and best of all, can lower down over space saving tables or ottomans which can stay in place! 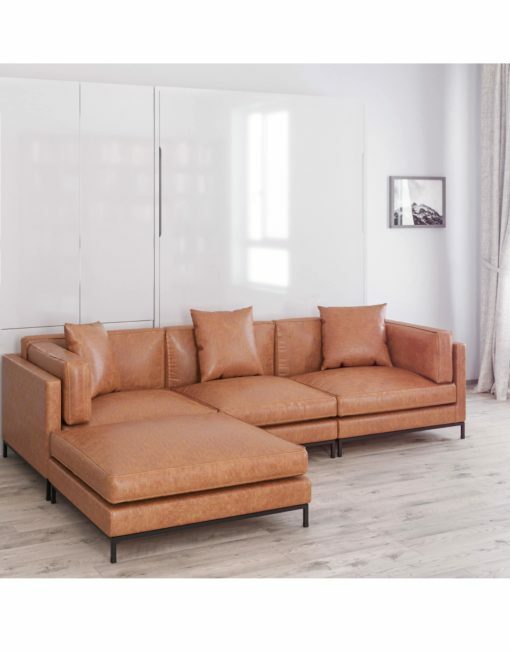 This aesthetically pleasing MurphySofa Migliore Sectional boasts a stunning designer look – from lounge suite to bedroom in a snap. 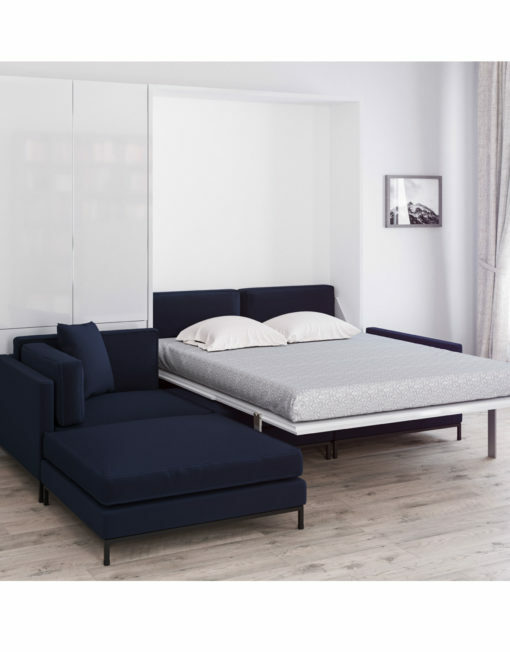 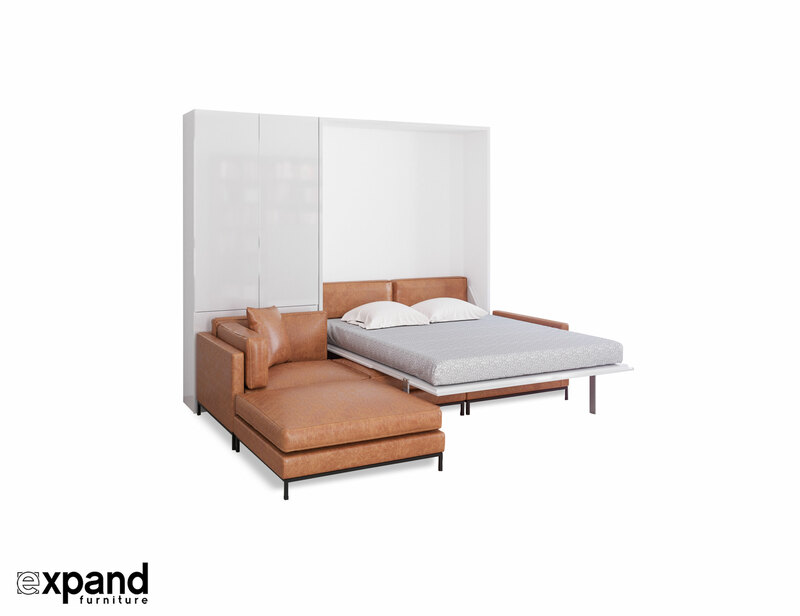 The high quality MurphySofa wallbeds are produced in Europe and built for North American mattress standard sizing. 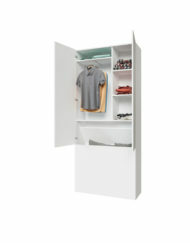 A beautiful look and the ultimate ease in functionality. 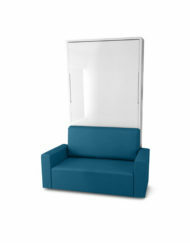 Simple pick up and put down open/close mechanism. 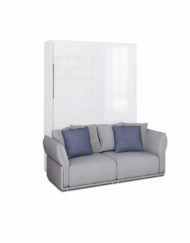 Built with a clever gas mechanism which makes the unit so light weight that it will hold in place mid air. 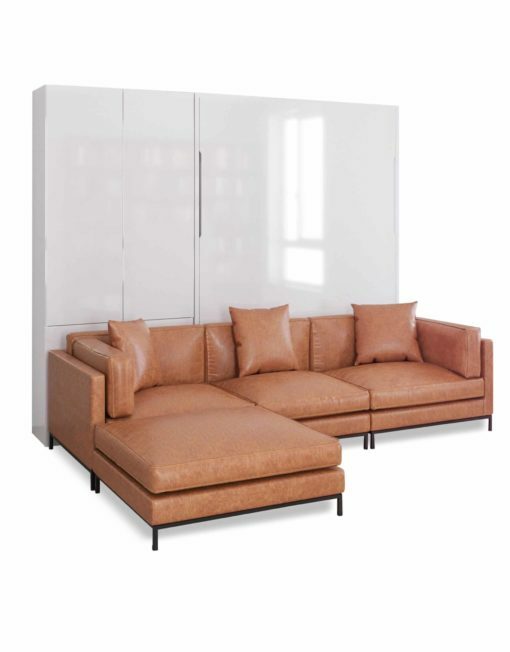 Sofa comes in the choice of Navy blue microfiber or Tan-Brown Genuine leather. This uses the same exceptional MurphySofa wall bed system and includes the 100cm cupboard system pictured. 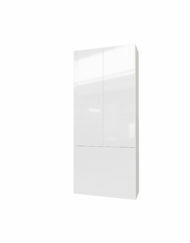 This glossy white wide shallow depth cupboards perfect for storing your clothing as well as extra bedding or storage in a compact form. 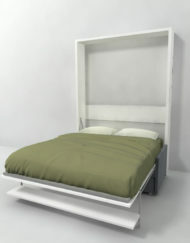 This can be placed on either side of the bed. 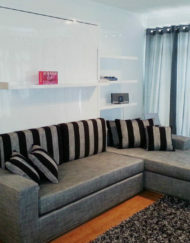 The Sofa fits in front of the cupboard. 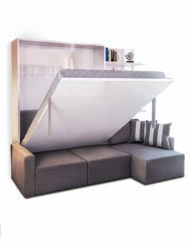 The cupboard opens above the sofa back rest height and are built for this system. 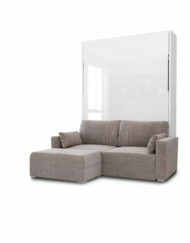 You can order another 100cm or 60cm module for the other side if you have the space. 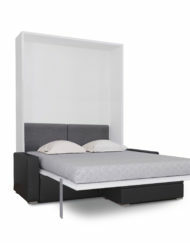 Made from USA wood with industrial quality springs and foam. 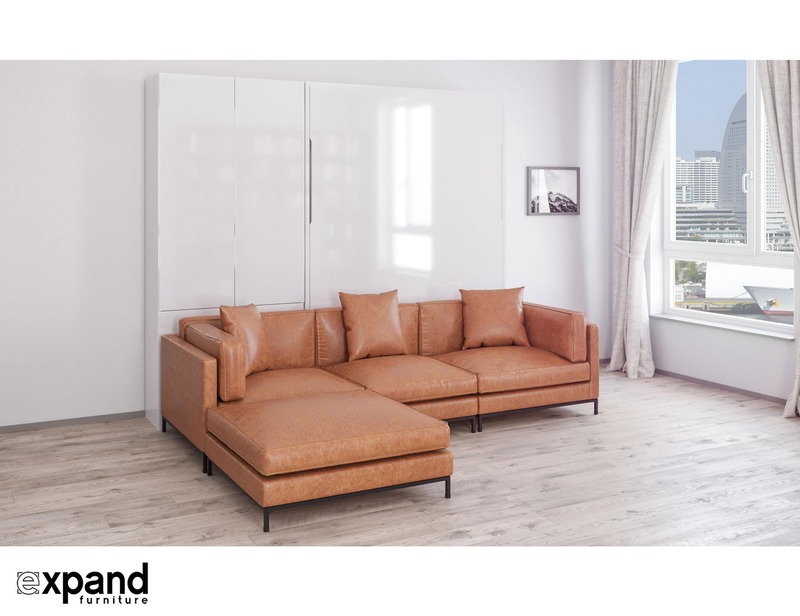 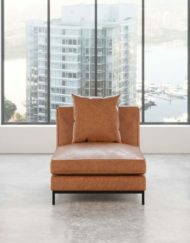 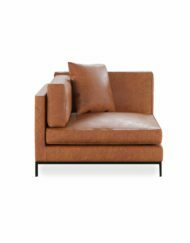 100 % Genuine leather on the Tan-Brown Leather Sofa for the seats, arm, side, back cushions (everything you sit and touch), but with a PU Leather matched base to the sofa. 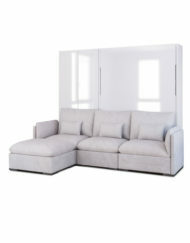 The MurphySofa Migliore requires assembly. 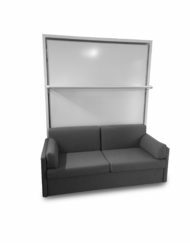 The sofa system is future proofed to allow upgrades and changes. 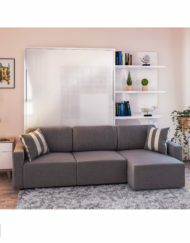 So if you decide you want a new sofa style in 10 years time, or if have a mishap when a naughty dog eats your sofa and you need a new one, you are not stuck and we will have compatible options now and in the future. 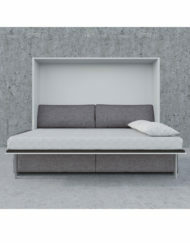 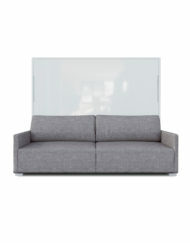 It uses the same amazing MurphySofa base wall bed that is European made.